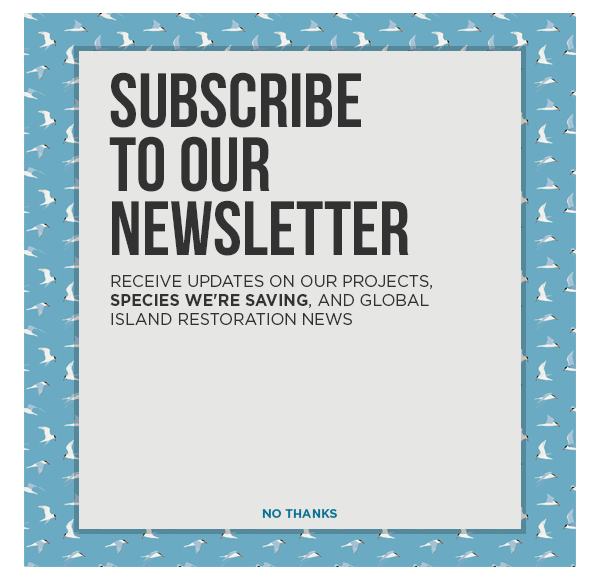 Million Dollar Mouse, a joint initiative between the Department of Conservation (DOC) and funding partners the Morgan Foundation, WWF-New Zealand, Island Conservation and public supporters, has successfully delivered one of the most complex island eradication projects ever undertaken. This is huge news for conservation both in New Zealand and internationally,” Ms Sage said. The Minister visited Antipodes Island aboard the HMNZS Wellington in February when the outcome monitoring team were dropped off to review whether the winter 2016 baiting operation was successful. During her visit, she saw first-hand the challenges the project faced, including remoteness, scale, and difficult terrain. Led by DOC’s Finlay Cox, the monitoring team searched the island for almost a month and found no sign of mice. They were assisted by three rodent detecting dogs from the Conservation Dogs programme, supported by Kiwibank and Auckland City Council. They returned to Dunedin yesterday. DOC’s Island Eradication Advisory Group (IEAG) has declared the Antipodes Island officially mouse free. DOC Project Manager Stephen Horn said work started on the project in 2014, but planning started much earlier. The success of this project was built on the lessons and experience from many other island eradications in New Zealand and abroad. The Subantarctic islands are remote, but the role they play in global conservation as the home for so many unique species can’t be overstated,” he said. The Antipodes Island group is located about 760 km south east of New Zealand. The 2,100 hectare islands are protected as a Nature Reserve and are recognised internationally as a World Heritage site for their outstanding natural values. Antipodes Island had a large mouse population of about 200,000. House mice eat invertebrates, prey on bird chicks and eggs and also eat plant material including seeds. This competition for resources and predation had altered the biodiversity of the Antipodes islands. Mice had already wiped out two taxa of insects from Antipodes Island (an unnamed weta and a large beetle Loxomerus n. sp.) Additionally Black-bellied storm petrels (fregetta tropica) and Subantarctic little shearwaters (Puffinus elegans) only breed on the mouse free offshore islands. Mice on Gough Island and Marion Island in the South Atlantic have been recorded killing large seabird chicks by literally eating them alive on the nest. It was not known whether this was happening on the Antipodes but this is a behavioural shift that would be a risk for all twenty-five bird species breeding on Antipodes and which successful eradication has now protected against. DOC successfully eradicated cats and rats from Great Mercury Island in the Hauraki Gulf (2014) and eight different mammalian pests were eradicated from Rangitoto Motutapu Islands (2009) including rats, mice, cats and stoats. In the Subantarctic DOC has previously eradicated rats from 11,800 ha Campbell Island in 2001. In the Auckland Island group rabbits and mice were eradicated from Enderby and Rose Islands in 1993 and a small population of goats were eradicated from the main Auckland Island by 1992. The Million Dollar Mouse team is monitoring Antipodes Island’s native birds to compare population sizes before and after removal of invasive mice….